We review the new Sony Alpha A68, with an updated focus system, and top LCD screen. The Sony Alpha A68 is a step up from the Sony Alpha A58, and features the same focusing system from the Sony Alpha A77-II, with 79 AF points, and 4D focus tracking, along with focus that works down to -2 EV. The camera features a 24 megapixel APS-C CMOS sensor, and a top LCD display screen. At the core of the Sony Alpha A68 is a 24 megapixel APS-C CMOS sensor, with an ISO range from ISO100 to ISO25600, and the camera has a 4D tracking focusing system with 79 phase detection AF points, 15 of these being cross-type. The camera uses Translucent Mirror Technology, which enables full-time continuous AF, and the camera can shoot at 5fps at full resolution or 8fps at a reduced resolution. Because of the translucent mirror technology, the camera uses an electronic viewfinder (EVF), and this features a 1.44million dot resolution. Steadyshot INSIDE moves the image sensor to give image stabilisation to any Sony A mount lens attached to the camera, with electronic stabilisation being used for video recording. 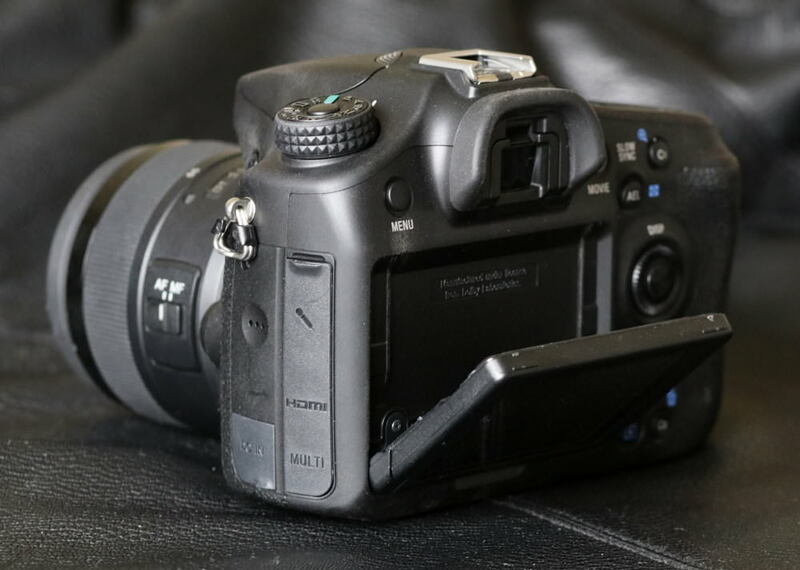 The camera records fullHD video at 60, 50, 30, 25, and 24fps, and features a microphone socket on the side, as well as built-in stereo microphones. * both the A58 and A68 offer quicker continuous shooting at 8fps at a reduced resolution of 5mp / 6mp respectively. The camera features full manual controls, an intelligent Auto mode, scene modes, plus 3 custom shooting modes. There are a number of creative effects, to create different styles of photographs, and with full-time live view through the screen or EVF you can see the effect of changes you make to settings before you take the photo. The 2.7inch screen tilts up and down, and has a resolution of 460K dots. 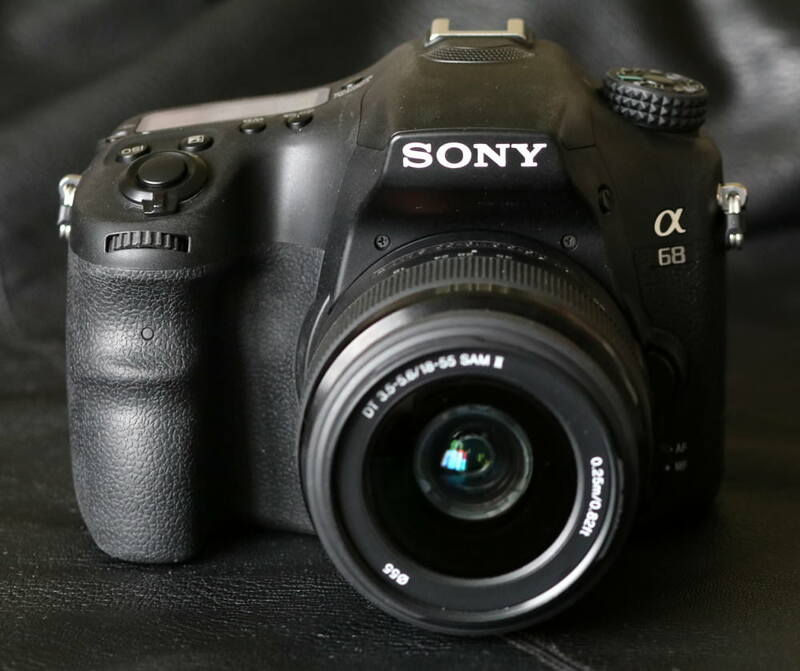 The Sony Alpha A68 feels solidly built with a plastic camera body and good rubber grip for your right hand and thumb. With a good sized grip for your hand the camera is comfortable to hold, and gives a secure grip even when holding the camera with one hand, although depending on the lens you use, with larger lenses using two hands is recommended. 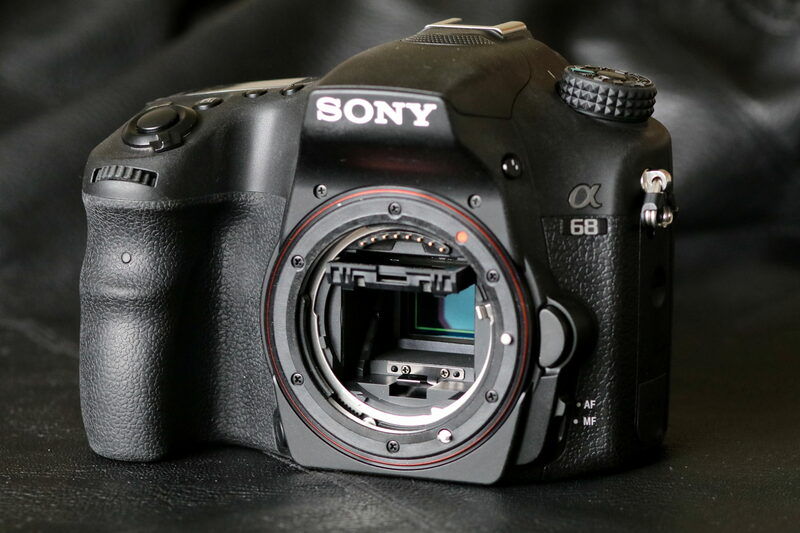 Like the Sony Alpha A58, the camera features a plastic front lens mount, although this doesn't seem to have caused any problems for users of the A58, which has now been on the market for around 3 years. 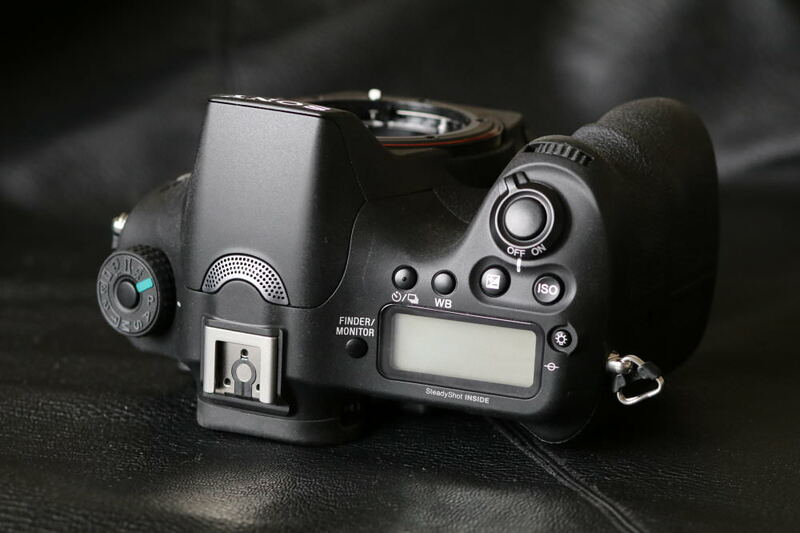 There are a good number of controls and buttons on the camera making it quick and easy to change settings, and there's a control wheel on the back of the camera, which (along with the front control wheel) gives you easier access to aperture and shutter controls in manual mode. The focus points cover a wide area of the frame, with 79 focus points, and the camera's focus system is excellent quickly showing you exactly where the camera is focused at all times. Focus was also very reliable with a high success rate. The electronic viewfinder (EVF) is comfortable when held up top your eye, with a good sized rubber eyecup, although the 1.44million dot resolution does not match other cameras with electronic viewfinders. 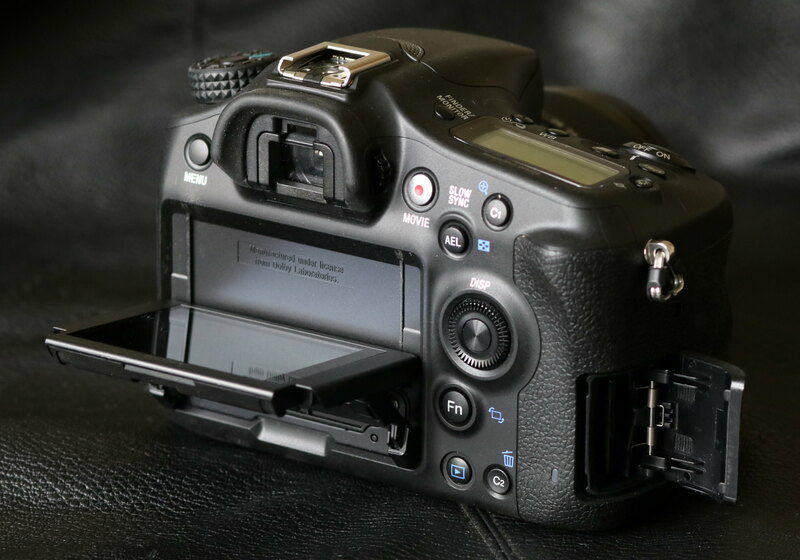 The camera will automatically switch from the screen to the EVF when you hold the camera up to your eye, or you can choose which one you want to use manually with the Finder / Monitor button on top. The 2.7inch screen is smaller than every other interchangeable lens camera available (not including the A58), which is particularly disappointing considering that even cheaper mirrorless cameras and DSLRs have larger, higher resolution screens. Whilst the 460K dot resolution is reasonable, the screen doesn't look great and is not a gapless design which means the contrast isn't very good. The screen isn't a touch-screen either, which is becoming more and more common and can make it quicker to change settings or set the focus points. The top LCD screen is illuminated, making it easier to view settings in low light from above the camera, or you can tilt the screen upwards. The menus are clearly laid out and will be familiar to anyone who has used other recent Sony cameras. Wow that's a really dull camera, seriously I have not been this unmoved by a camera in a long time, and I am a camera nut!. I try not to be negative about the review scores but I really don't think your reason to give it a recommended is a very strong one. You are kind of allowing Sony to advertise that this camera is "Recommended by Ephotozine" for a camera that you don't really seem to recommend that much. Wow that's a really dull camera, seriously I have not been this unmoved by a camera in a long time, and I am a camera nut!. I try not to be negative about the review scores but I really don't think your reason to give it a recommended is a very strong one. You are kind of allowing Sony to advertise that this camera is "Recommended by Ephotozine" for a camera that you don't really seem to recommend that much. "Noise performance is slightly worse than the 24-megapixel Canon EOS 80D." Well if it priced well below the 80D then there it there is justification for it in the market place, a good first interchangeable lens camera for someone who would like to get into more advanced photography. Quite a lovely portrait of Lucy by the way. Hi Tcoat3, thanks for the compliment, and welcome to the site, however the 80D was used as a reference point, and I've also compared it to the 750D, which also has better noise performance at ISO3200/ISO6400. Yes it's boring, because Sony customers have asked to keep the A mount going, even though cameras with mirrors are coming to the end of their major part in photography evolution. 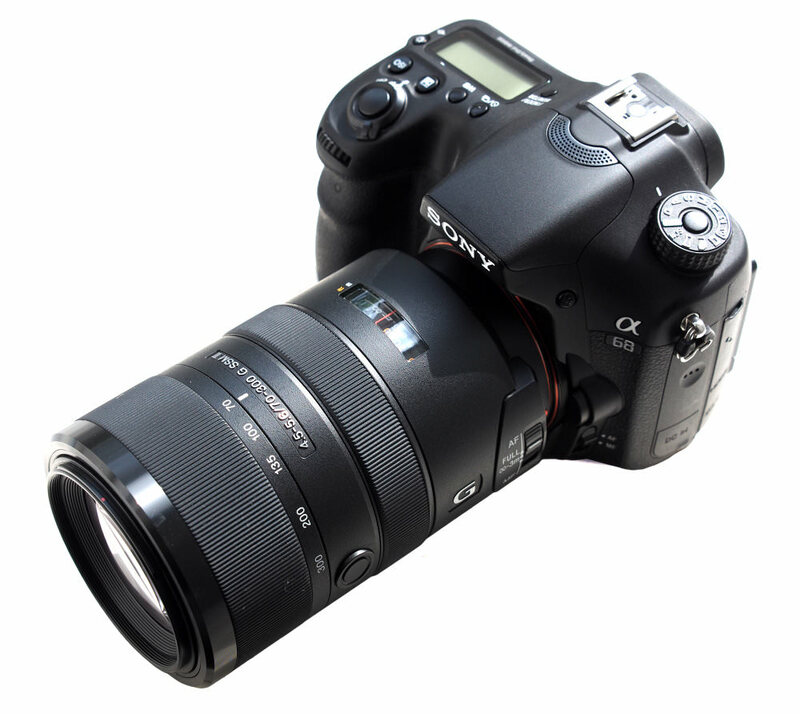 I would not recommend the A68 against the A6000, which is technically far more advanced and a slightly lower price. When Sony announce the A9 series, which will be mirror less and aimed at the professional market, ( Sony have 3 G Master lenses for this reason. ) only then will the sales of A mount cameras be so low as to be uneconomical to produce. I have used adaptors since the A7 series was launched, because I have spent many thousands on A mount lenses, it's hard to adjust, but the standard of photography proves it I the only way to go. I am predominantly a kingfisher and wildlife photographer, and will never return to a camera using a mirror. Yes it's boring, because Sony customers have asked to keep the A mount going, even though cameras with mirrors are coming to the end of their major part in photography evolution. I would not recommend the A68 against the A6000, which is technically far more advanced and a slightly lower price. When Sony announce the A9 series, which will be mirror less and aimed at the professional market, ( Sony have 3 G Master lenses for this reason. ) only then will the sales of A mount cameras be so low as to be uneconomical to produce. I have used adaptors since the A7 series was launched, because I have spent many thousands on A mount lenses, it's hard to adjust, but the standard of photography proves it I the only way to go. I am predominantly a kingfisher and wildlife photographer, and will never return to a camera using a mirror. Mirror camera have far better view of scene then mirror less, there is no match of mirror camera. I was a Canon user for years, since the D30 actually. When Sony introduced the 2nd generation SLT I converted and never looked back. Fast autofocus, easy to shoot with live view, built in IS. good noise control, and a huge selection of exceptional glass on the used market. I owned the A65,and later the A77, but, for the money, IMHO, the A57 was the best entry level camera available. But, I saw the writing on the wall when all the new technology at Sony no longer included the A mount. Yes, they had the A58, a disappointing cheapened model, and the A77 II, but nothing innovative was coming. Saw the rumors of this A68, but truly lack luster specs and it wasn't even coming to the USA. Sold my equipment before the market was gone and have moved on to Olympus OM D for the reasons mentioned above. Thank you Sony for the time we had and for many great photos! Total turnoff for me too, but good on Sony supporting A-Mount customers with new bodies, they've to be congratulated for that. Could you have got it any dustier by the way :p? Total turnoff for me too, but good on Sony supporting A-Mount customers with new bodies, they've to be congratulated for that. Could you have got it any dustier by the way ? Thank you Joshwa for the edification on how the sensor noise stacks up against the (Canon) competition. This actually my third iteration -- I'm the original 'Tcoat!' For those of whom are pooh-poohing the A-mount, I will like to remind them the 36 megapixel A99ii is due for imminent release. The sensor should be one of the latest Sony designs, more in-line with the A6300, as will be the heavily revised focusing system. For those of whom are pooh-poohing the A-mount, I will like to remind them the 36 megapixel A99ii is due for imminent release. 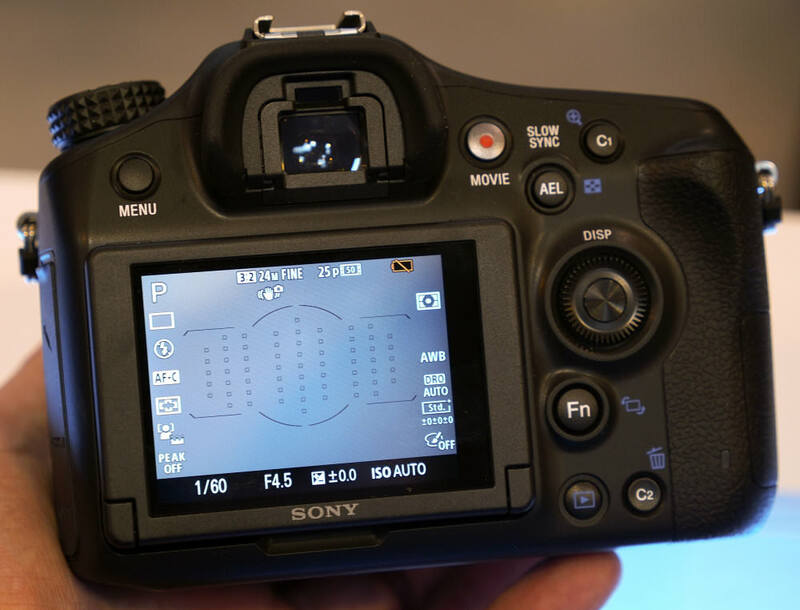 The sensor should be one of the latest Sony designs, more in-line with the A6300, as will be the heavily revised focusing system. [quote]I will like to remind them the 36 megapixel A99ii is due for imminent release[/quote] Will this not now be delayed following damage to Sony's manufacturing plants in the recent Japan earthquakes ? Will this not now be delayed following damage to Sony's manufacturing plants in the recent Japan earthquakes ? JJGEE, updated to Tower Bridge, thanks :) Josa, we used the kit lens, it's really not great. The 70-300mm is much better, but we weren't able to use this for the studio shots. Josa, we used the kit lens, it's really not great. The 70-300mm is much better, but we weren't able to use this for the studio shots. https://www.youtube.com/watch?v=aanabyZgquU I rest my case. I guess for a first time buyer, the A-68 might be just the camera they were looking for, but for seasoned Sony users, its really a non runner, I would go as far as to say the A-58 it replaces had better IQ and lower noise. 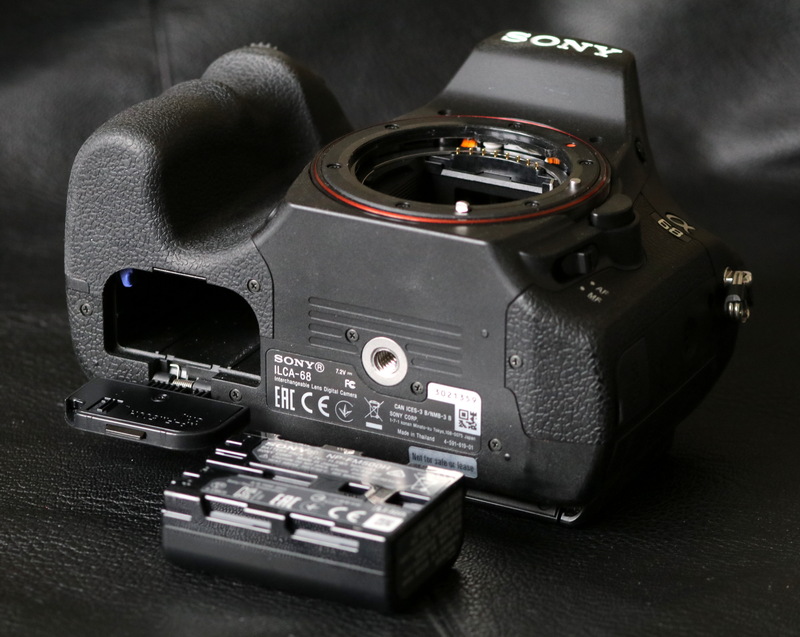 If you want to compare 24-mp Sony cameras then the A6000/6300 are out right winners over the 68. The standard Sony 18-55 kit lens is way past its sell buy date for 24-mp cameras and its time Sony brought not only that but their E range up to date for that sensor. Excellent review. Is it compatible with Minolta xi lenses. Thanks. Great review. many thanks - I'm about to upgrade from an old Sony A200 and I think this camera will do fine, especially as it will take my old lenses.